If you’ve been to my buy pages recently, you’ll probably notice that they don’t work. My three novels have been taken down by my publisher, Curiosity Quills. The publisher is in the process of reorganizing their business, and we are currently in the process of rights reversion. So what does this mean for me and my books? Right now this means you can’t buy my books. (Sorry!) It means I am taking a crash course in self publishing because I have an irrational need to finish things. Acne has a sequel. It has two, possible three, and I want to make sure the whole story gets told. This means drafting, editing, formatting, cover art and marketing plan. This is not minor. On the plus side, the first sequel has already been written, but there’s a lot of production even when a book is 100% ready to go, and it isn’t there yet. 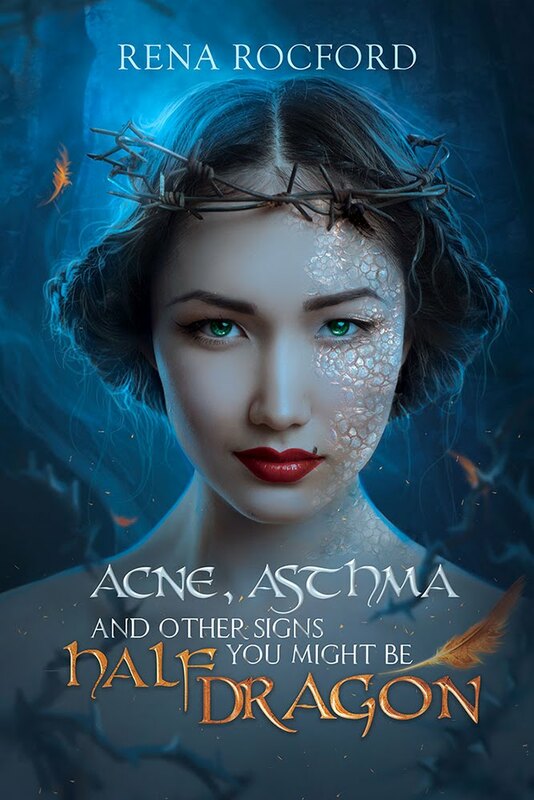 But Rena, you say, What about Acne, Asthma, And Other Signs You Might Be Half Dragon? I haven’t bought my copy of that book yet! And I want it! Yeah, for the books that were already finished, there’s a different problem. There are some paperback copies going out into the world still, but that’s a limited supply. There are no e copies. There were never audio copies. As of right now, it’s going to be a while before ebooks are available again, and they will be. My plan is to re-release Acne and Prom as soon as I solve the problem of formatting, cover art, and final typo fixes (an issue we had with the previous books). So I have a lot of work on my plate, and much sooner than I’d planned! On the plus side, this gives me the opportunity to have more control of the direction these books take. I have loved being a Literary Marauder, but now I get to shred the skies with my own flag—just as soon as I figure out how to rig this spinnaker so it doesn’t flip my ship. Glad to hear the sequels are coming!! Yay!